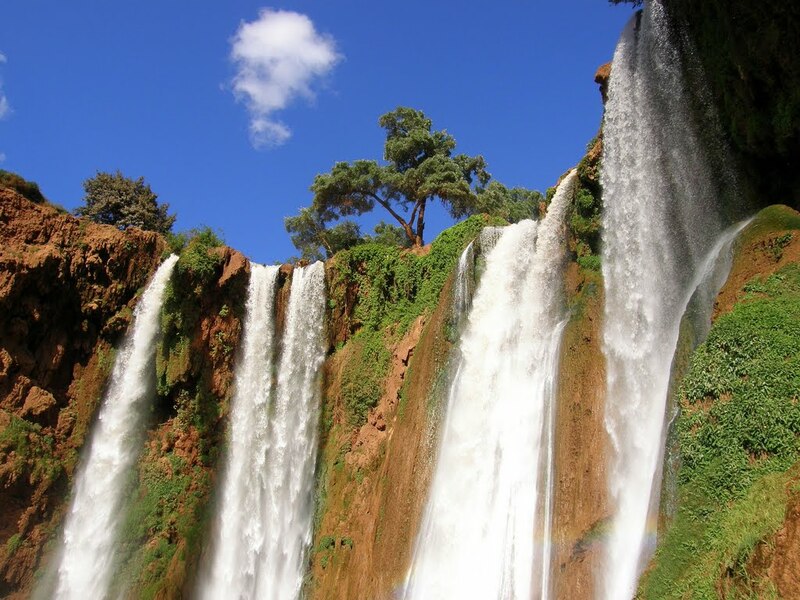 Ouzoud Waterfalls are among the most majestic natural wonders of Morocco. The 110m high waterfalls consist of several smaller cascades and plunges down in 2-3 tiers. The Ouzoud cascades have stayed refreshingly uncommercialized. There are several small stalls selling fresh squeezed oranges juice and at the summit of the falls, there are a dozen old small mills that are still in use. At the bottom of the drop, the cascading waters gather into a pool that is open for swimming. Dipping in to the pool among the cascades is refreshing amidst the summer heat but remember that the water can be slightly chilly, even in summertime. If you are lucky, you might also see some wild monkeys on your way to the cascade. The waterfalls are located near the village of Tanaghmeilt, about three hour drive from Marrakesh. If you don´t have an own car in use, there are also several tour operators organizing tours to the waterfall from Marrakesh. Ouzoud can be visited throughout the year. Among locals, the most popular time is the summertime when people come here to have picnic by the cascades. Tours to Ouzoud from Marrakesh are around 80€. If you arrive by own car, there is a parking fee of 20dh. Sierra Nevada is located in Southern Spain in the Penibético Mountain Range and close to the Mankind Heritage City of Granada. Sierra Nevada is at an altitude of 2100 m with lifts going up to 3282 m.